This “All-in-One” Calcium Supplement with added Vitamins, Trace Minerals, and Carotenoids for Dusting Insects. No need for a Separate Vitamin Supplement. 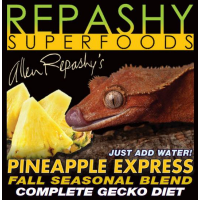 I have used this brand of calcium with my Crested gecko's exclusively for 4 years and think it's great. 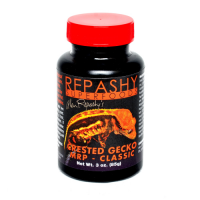 I have used other brands of calcium in the passed and was told by another breeder to check out this brand because since they switched to it they have never had any problems with egg development. 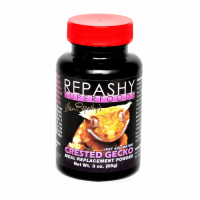 I bought it because it was a better price than I was paying before and as with other Repashy products the ingredients are real. I have stuck with it ever since. 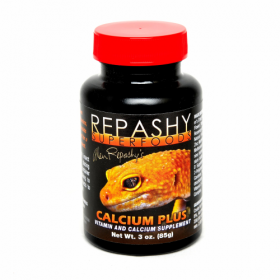 Also this is an all in one supplement so the calcium is all you need, alternate with a gecko diet and you are set!